The United States extended its newfound imperial reach and policy of “Dollar Diplomacy” in 1912 to Liberia, a country it considered a U.S. protectorate. The book explores U.S. foreign policy toward Liberia and the African American diaspora, while detailing the African American military experience in the first half of the twentieth century. It brings to life the story of the African American officers who carried out a dangerous mission in Liberia for an American government that did not treat them as equal citizens in their homeland, and provides recognition for the critical role they played in preserving the independence of Liberia. An unheralded military hero, Charles Young (1864–1922) was the third black graduate of West Point, the first African American national park superintendent, the first black U.S. military attaché, the first African American officer to command a Regular Army regiment, and the highest-ranking black officer in the Regular Army until his death. 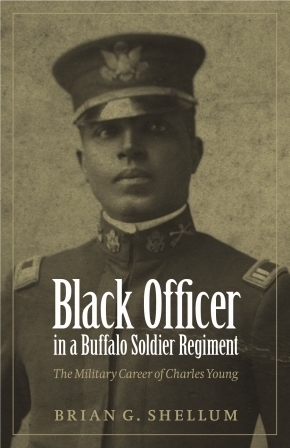 Black Officer in a Buffalo Soldier Regiment tells the story of the man who—willingly or not—served as a standard-bearer for his race in the officer corps for nearly thirty years, and who, if not for racial prejudice, would have become the first African American general. 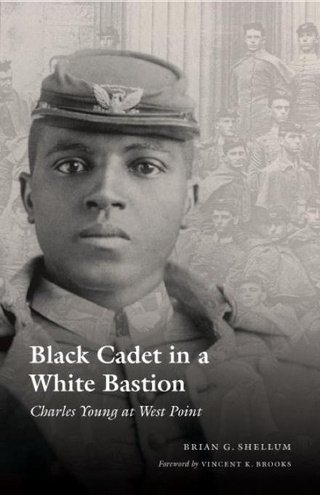 This book describes how, during his remarkable army career, Young was shuffled among the few assignments deemed suitable for a black officer in a white man’s army—the Buffalo Soldier regiments, an African American college, and diplomatic posts in black republics such as Liberia. Nonetheless, he used his experience to establish himself as an exceptional cavalry officer. He was a colonel on the eve of the United States’ entry into World War I, when serious medical problems and racial intolerance denied him command and ended his career. The book seeks to restore a hero to the ranks of military history; at the same time, it informs our understanding of the role of race in the history of the American military. Born in slavery, Charles Young (1864-1922) was the third black graduate of West Point, the first African American military attaché, the first black superintendent of a U.S. national park, and highest ranking African American Regular Army officer prior to World War I. This book chronicles the enormous challenges Young faced at West Point in the 1880s. This volume contains the basic documents that established and defined the Agency at the creation. The 104 specially selected documents tell the early history from 1961 to 1965 and provide the reasons for the Agency’s organization. This chronology is one of the by-products of the research done for a classified history of the First Gulf War. Pictures, drawings, charts, and maps have been added to make it more meaningful. This work is meant to be a chronology of Defense intelligence support to Operations Desert Shield and Desert Storm, not a detailed description of those events. Here is a link to a short history of DIA I wrote for the 35th Anniversary of the establishment of the Defense Intelligence Agency in 1996.